Use this website to quickly find the most important information about Hamad International Airport - Doha Airport: Flights (Departures, Arrivals), Parking, Car Rentals, Hotels near the airport and other information about Doha airport. Plan your travel to DOH Airport with the information provided in this site. Hamad International Airport (IATA: DOH, ICAO: OTHH) is the international airport in Doha, the capital city of Qatar. 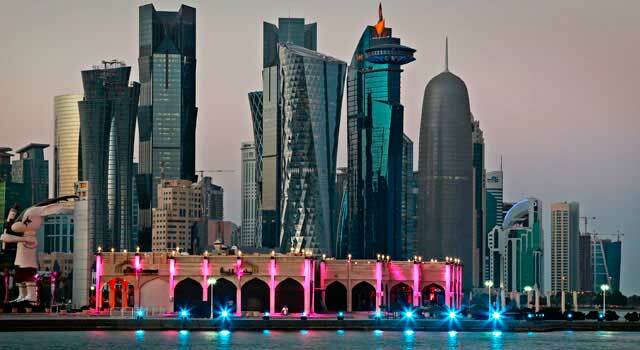 The airport it is also known as NDIA (New Doha International Airport) and was opened in April 2014. 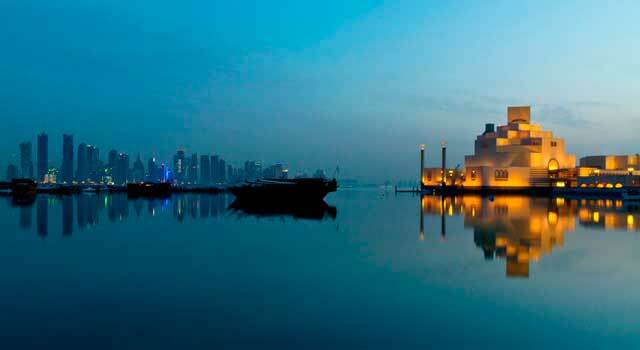 It is located about 5 miles (4 km) southeast of downtown Doha. Hamad International Airport (IATA: DOH) is 4km from Doha. Doha Airport is operated by Qatar Airways with 146 destinations worldwide. Doha Airport served 37.32 million passengers in 2016. There is one terminal divided in 5 concourses. It is the largest airport in Qatar. 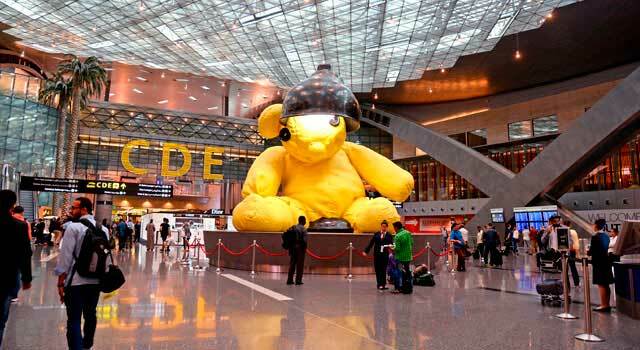 Hamad Airport replaces the former Doha International Airport as Qatar's Airport. The airport serves as a hub for Qatar Airways, the national carrier, which is also the operator. Remaining airlines operate from DOH airport as well. The new Hamad International Airport offers world-class facilities and services to its passengers and the terminal is currently designed for 30 million passenger. In 2016 DOH Airport handled 37.32 million passengers, a figure that practically exceeds its capacity. Hamad Airport has one unique terminal divided in 5 concourses (A-B-C-D-E). The Airport is planning to built a second Terminal, T2, to handle the passenger growth in the airport. The terminal has 3 levels with a central plaza with all the retail stores, food court, restaurants & cafés. There is a wide variety of shops, restaurants and fast food chains. Majority of them Big Global Brands. - Kids Play Area, etc. In collaboration with Qatar Museums, Hamad Airport expose several art objects created by international, regional and local artists throughout the airport. One of the most famous sculptures is located In the middle of the central plaza, known as the "Lamp Bear" by the swiss artist Urs Fischer. 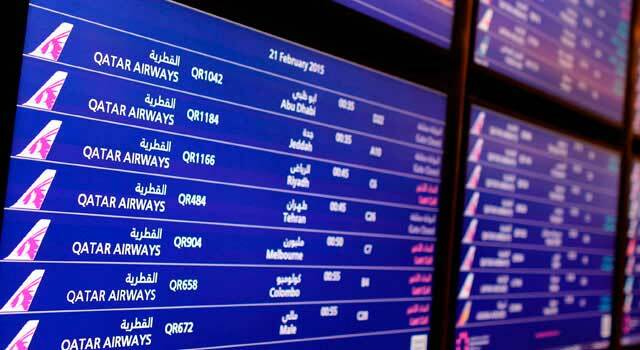 Approximately 50 airlines are currently operating at Doha Airport to more than 150 destinations worldwide. In 2017, there were 10 new routes added. The airport (Doha Airport) is growing very fast becoming an increasingly important aviation hub, due the rapid growth of Qatar Airways, which operates more than 80% of the flights, with a global network of 146 destinations, covering Europe, the Middle East, Africa, South Asia, Asia Pacific, North America and South America. Hamad international Airport is the 50th busiest airport in the world in terms of international passenger traffic (data from 2016). - Bus: Bus services connect Doha Airport to various destinations across the city. The bus pavilion is located outside terminal to your right. Passengers need a Karwa Smartcard available from the bus driver (24 Limited or 24 Unlimited). Check the Bussection for further information. - Taxis: Are located in the taxi pavilion, outside the passenger terminal to your left. Only payments with Qatari Riyals are accepted. Starting fare: QAR 25. - Rental Car: The car rental service is located at Ground Transportation Centre (GTC), just exit the arrivals hall and walk across the street. Check rental car page on-line for availability.